Breast augmentation surgery can help women achieve the fullness, balance, and symmetry they’ve always wanted or lost along the way after motherhood, breast-feeding, fluctuations in weight or simply from aging. Breast augmentations are deeply personal procedures and choices, and highly customizable, and experiences and results can be as unique as the patient. But one thing that remains universal are the factors that make for a good breast augmentation patient. So what makes a good candidate for breast implants? There are a variety of factors that help determine how feasible breast augmentation surgery is for prospective patients. Generally, women who are in good overall health and have realistic expectations about what a breast augmentation treatment can help them achieve make for the best candidates for breast implants. When you meet with Dr.Salemy during your private, one-on-one consultation, he will have a very thorough discussion with you about your aesthetic goals and medical and health history, and he will evaluate your current breast and body anatomy. Dr. Salemy will determine, based on a variety of additional other factors, how feasible breast augmentation is for improving breast shape, and/or increasing breast volume or cleavage. Are healthy and at least 18 years of age (for saline implants) or at least 22 years of age (for silicone gel implants). Exercise regularly and be of normal weight. Have breasts that are fully developed. Appear small and you want to add size, volume and fullness. improving their balance and symmetry. Have lost shape and volume as a result of pregnancy and/or breast-feeding, after dramatic weight loss or weight fluctuations or simply with aging, and you want to restore volume. Lack fullness or appear “empty” on top and you want a “fuller” or rounder profile. Developed abnormally and you want to correct this. Can support cosmetic improvements after breast reconstruction. Are pregnant or are currently breast-feeding. Have cancer or pre-cancer and have not been treated adequately. The best way to understand all the considerations that will impact your breast augmentation journey is to consult with a qualified board-certified plastic surgeon, especially one who has had significant experience with breast augmentation procedures. 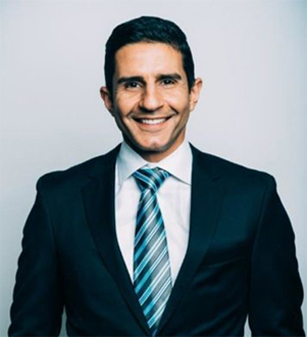 Dr. Salemy, in his private consultations with patients, will discuss aesthetic goals, review medical history and overall health, and examine breast tissue and skin, as well as the rest of a patient’s anatomy. Lifestyle habits, including nutrition and exercise. Commitments which will allow enough time to recuperate properly. Use of tobacco, alcohol, drugs, medications and vitamins or supplements, and how they may affect healing. Potential risks, including capsular contracture or hardened capsule around implants. The most ideal candidates for Breast Augmentation surgery are healthy patients who have prepared for what could be a life-transforming procedure through proper education, planning, and understanding of the surgery, it’s potential benefits and risks, and outcome. Dr. Salemy and his staff are trained to help guide you toward the best course of action for your breast augmentation procedure, depending on each patient’s unique health history and aesthetic goals. Whether Dr. Salemy performs your surgery or another Board-Certified surgeon does, having realistic expectations and honest, open discussions with your surgeon about where you are now and where you want to be as a breast augmentation patient will go a very long way towards helping you achieve your aesthetic goals. Patient satisfaction and outcomes are much higher when patients are good candidates and have realistic expectations.